The thing that really sets us apart from other dental offices is that we treat children as the individuals they are and truly care about their unique needs. In fact, we treat your kids with the same care and compassion that we would want for our own children. Our entire team is committed to personalized treatment as well as excellence and professionalism so that your children get the very best that pediatric dentistry has to offer. 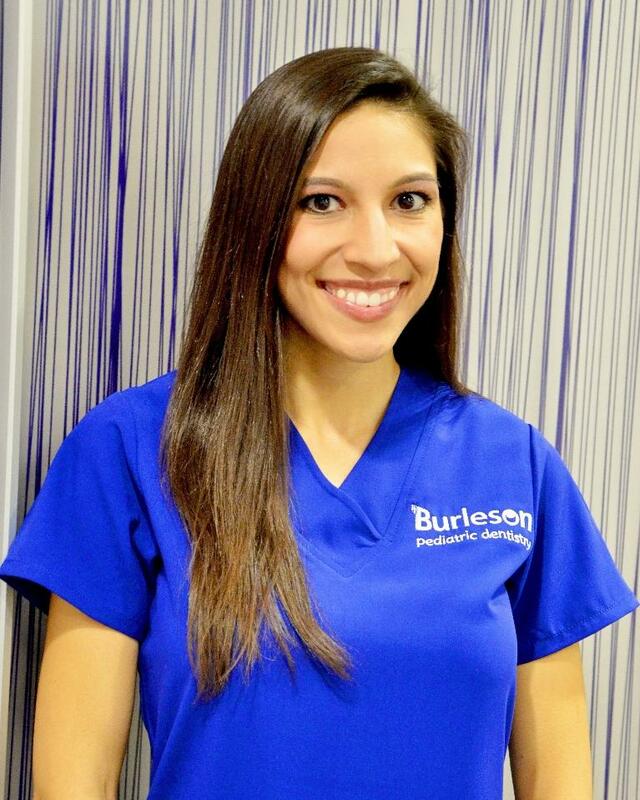 Take a moment to read about us and know that we look forward to welcoming you to our Burleson, TX dental family. Dr. Walton feels fortunate to have the greatest job in the world. There is no greater joy than being able to work with kids every day. He loves having a profession where he can build the foundation for children to have positive dental experiences and healthy smiles for the remainder of their lives. Dr. Christopher Walton graduated with honors from Vanderbilt University with his Bachelor of Science in Chemistry and went on to attend dental school at The University of Tennessee where he earned his Doctor of Dental Surgery degree and graduated with honors. Because a specialty in pediatric dentistry requires additional education and training, Dr. Walton completed a residency at Baylor College of Dentistry, Children’s Medical Center of Dallas and Texas Scottish Rite Hospital. He is a Diplomate of the American Board of Pediatric Dentistry. When Dr. Walton is away from the office, you can find him spending time with his wife, Krystal, and two incredible children, Caden and Analia. He also enjoys running, watching movies, and traveling. Dr. Elizabeth Laborde knew she wanted to become a dentist at a young age. She spent a lot of time at her dentist’s office, and was fortunate to have had a wonderful dentist who encouraged her to pursue the profession. Dr. Laborde graduated from Wellesley College with a Bachelor of Arts in Neuroscience. She returned home to Texas to complete her dental training at Texas A&M Baylor College of Dentistry, where she earned her Doctor of Dental Surgery degree. In dental school Dr. Laborde was selected by the National Institute of Dental and Craniofacial Research for the Summer Dental Student Award, and spent the summer after her first year doing research at the National Institutes of Health. After graduating from dental school, she completed a General Practice Residency at Brigham and Women’s Hospital in Boston, Massachusetts, which focused on patients with complicated medical conditions. It was during this time that Dr. Laborde realized her love of working with children. 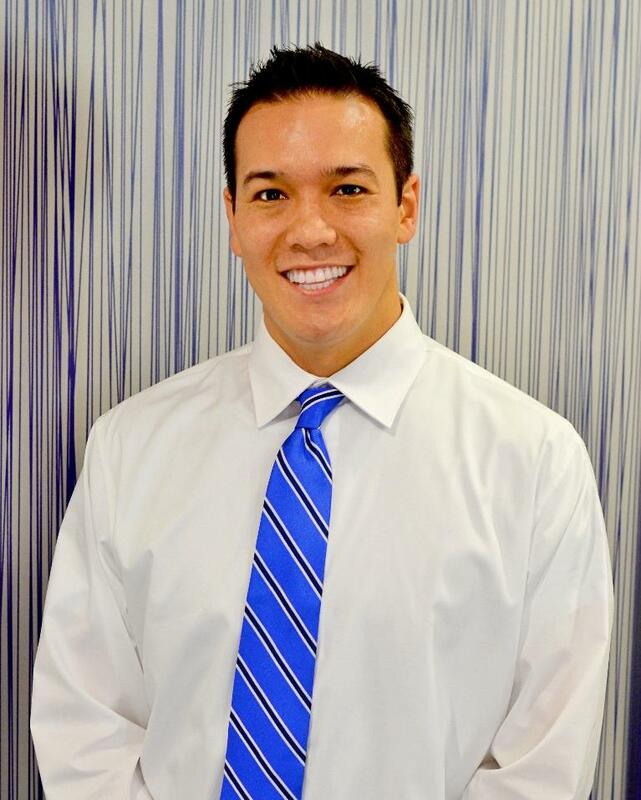 After working as a general dentist for two years, Dr. Laborde returned home to Texas to pursue a pediatric dentistry residency at Baylor College of Dentistry, Children’s Medical Center of Dallas and Texas Scottish Rite Hospital. She is a Diplomate of the American Board of Pediatric Dentistry. Dr. Laborde is active in her community and currently serves on the Board of Directors of the Fort Worth District Dental Society. When she is away from the office, she enjoys spending time with her husband Joe, and their twin sons William and Nicholas. 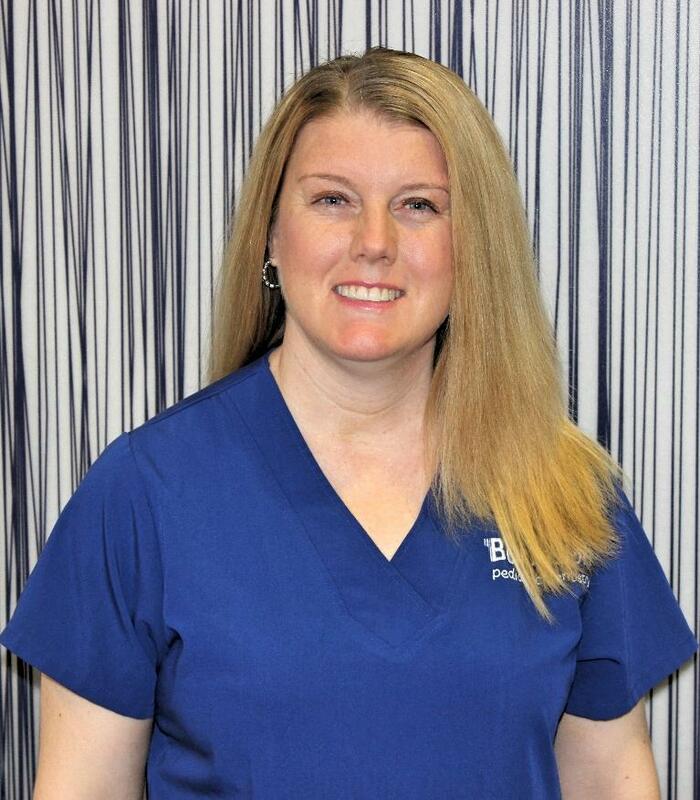 Dr. Carla Damon grew up in Dallas and began her interest in dentistry while attending college at Baylor University in Waco. 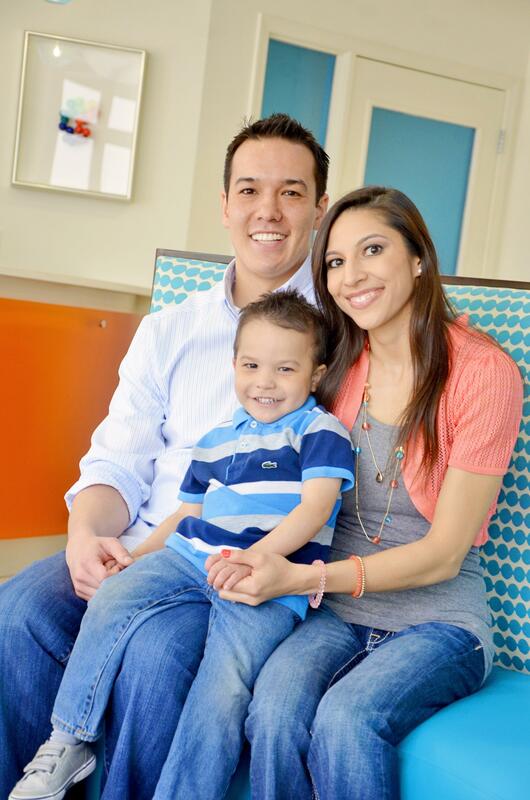 After graduation, she followed her college sweetheart to The University of Texas Dental School at Houston, where it became clear to her that pediatric dentistry was her desired path. 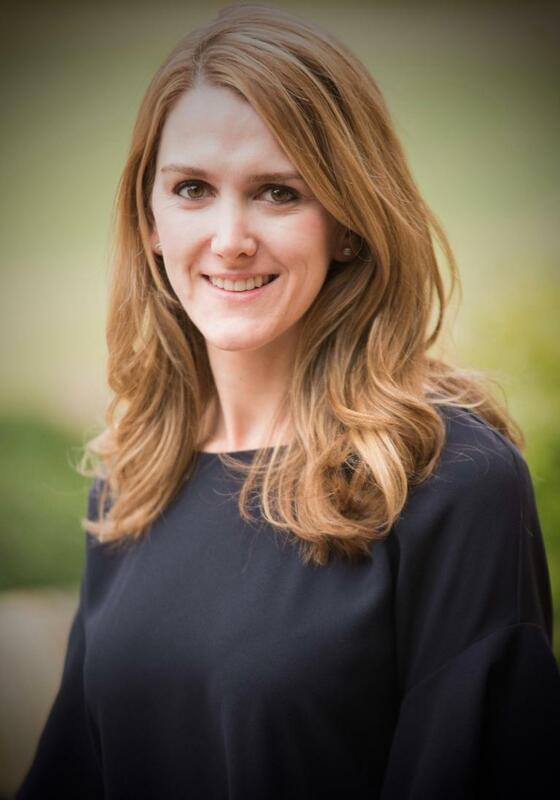 After dental school, Dr. Carla completed her pediatric residency at Baylor College of Dentistry, Children’s Medical Center of Dallas, and Texas Scottish Rite Hospital. She is a Diplomate of the American Board of Pediatric Dentistry. After residency, Dr. Damon continued onto private practice where she gained further experience at Children's Medical Center treating kids with complex dental and medical needs. She is currently a member of the American Academy of Pediatric Dentistry, American Dental Association, and Greater Dallas Pediatric Dental Society. Dr. Damon is married to another dentist, Dr. Clark Damon, and she cherishes time with her two kiddos, Tripp and Isla and two fury babies, Leah and Peter. She also enjoys yoga, walking, trying new foods, and traveling. Sarah serves as both our treatment coordinator and office manager. She attended Concorde Career College and graduated Valedictorian. She also received the Helping Hands Award from her classmates. After four years in our dental practice, Sarah is extremely proud to be part of a team that works together to educate children on the importance of good oral hygiene. She appreciates that the entire team is compassionate and appreciate each of our young patients and team members. Sarah strives to provide excellent customer service and lives by the Golden Rule: Treat others the way you want to be treated. When she is away from the office, she is actively involved in her children’s sports and school activities. She enjoys shopping, dinner dates, listening to music, and watching movies. Most of all, she loves spending time with her family. Originally from Little Rock, Arkansas, Krystal attended the University of Arkansas at Little Rock and achieved a Bachelor of Business Administration in Entrepreneurship. She has worked with us for the last three years and enjoys being part of a dental practice where patients and families always come first. Working in an environment where customer service, strong ethics, and quality dentistry are core principles makes her job constantly rewarding. Krystal stays busy, but when she has spare time, spending it with her family is her first priority. She also enjoys shopping, trying new restaurants, and traveling. Brittany is from a military family and spent much of her childhood moving from place to place. She has lived in California, Missouri, Arkansas, Oklahoma and Texas. We are so lucky she settled here and joined our practice. When Brittany is enjoying her free time you can find her spending time with her husband and family. Whether they are staying home to watch a movie or going out for fun on the lake, she cherishes her time surrounded by her loved ones. Christie is a native Texan and currently resides in the Fort Worth area. She attended ATI in 2000 and graduated Valedictorian. With over 17 years of experience in both general and pediatric dentistry, she possesses a wealth of knowledge and expertise. 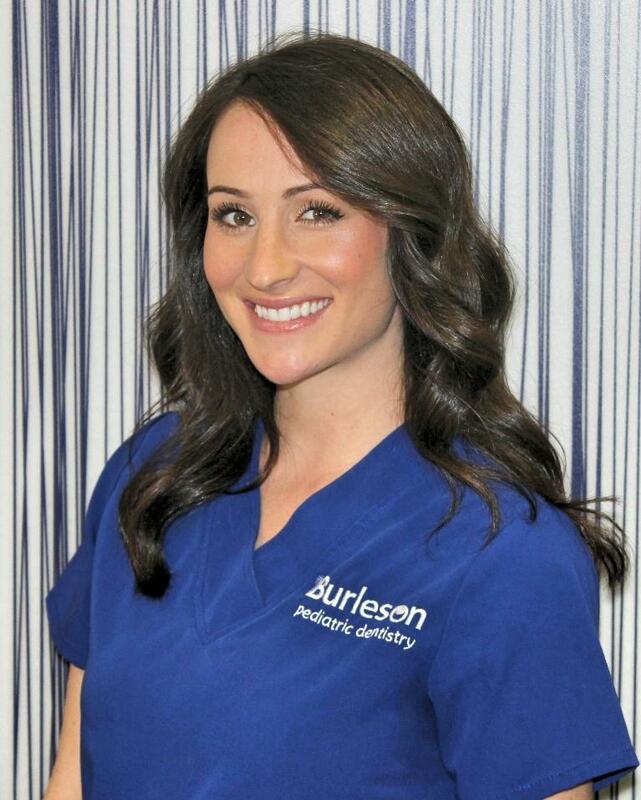 She has a passion for helping patients achieve healthy and beautiful smiles by encouraging them to understand the importance of oral health. 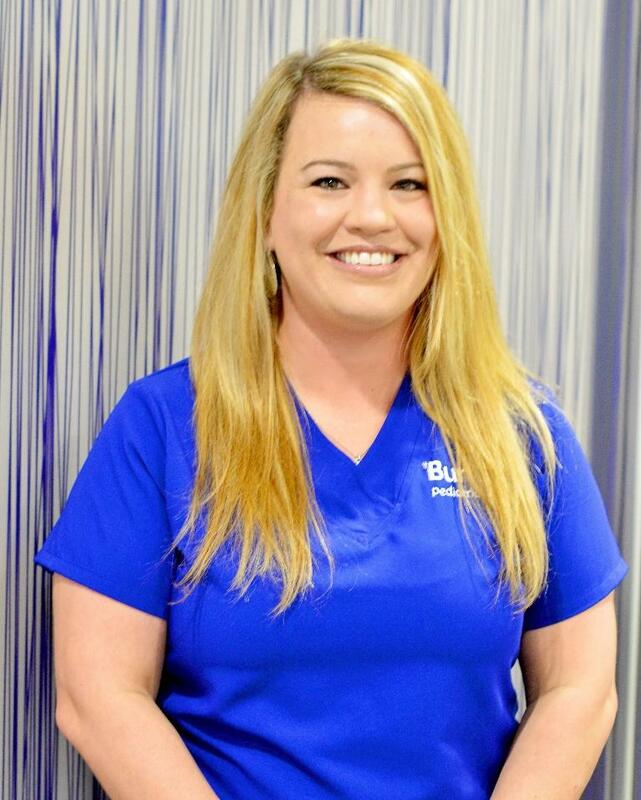 In addition, she enjoys developing relationships with our patients by providing great customer service and making them a part of our dental family. When not in the office, Christie loves spending quality time with her husband, two kids, two wonderful grandkids and loving dog Kane. She is also an avid football, basketball and soccer fanatic! Amber is proud to be born and raised in Burleson, Texas where she graduated high school. 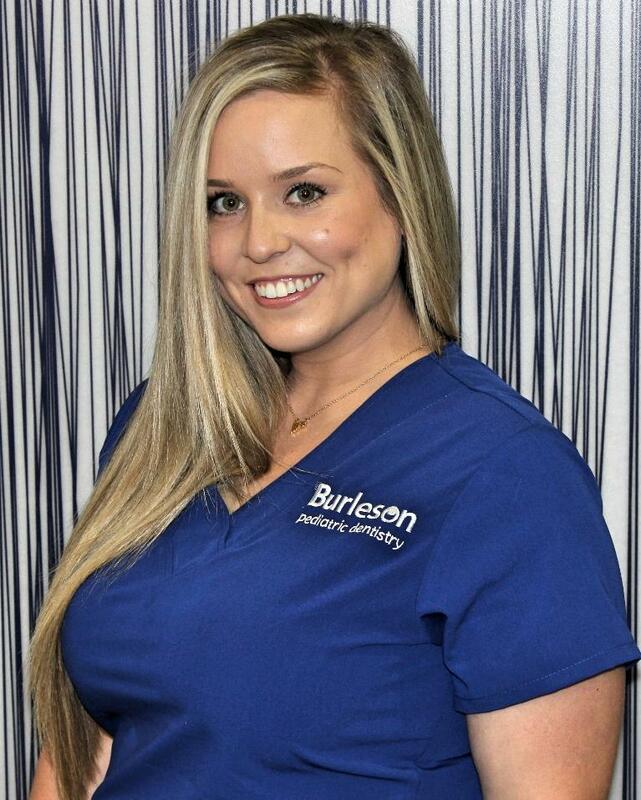 In 2006, she graduated from the University of Texas Arlington with her degree in dental assisting. Dentistry appealed to her because she loved talking to people! She had a natural ability to bring comfort to those around her, and especially took pride in making kids smile. Over the next seven years, she worked and studied early childhood development before re-entering the dental field. Amber's diverse background and skill set has allowed her to quickly acclimate to our office and bring creative ideas to the workplace. When not working, Amber is always on the move with her husband and three children. Her kids are very involved in sports, and she finds any opportunity she can to watch them on the football and baseball fields. She also loves volunteering at her kids school and go on walks with her sister and dogs. Cassie is originally from Springtown, Texas and now resides in Cleburne, Texas. She attended Tarrant County College to obtain her dental hygiene degree. She started her career in general practice, but soon found her calling was in pediatric dentistry. Cassie is also part of From Your Heart Ministries, where she travels internationally to provide dental care to children. During her off time Cassie can be found spending time with family, watching her nephew/niece’s play sports, or spending time with her husband and two dogs. 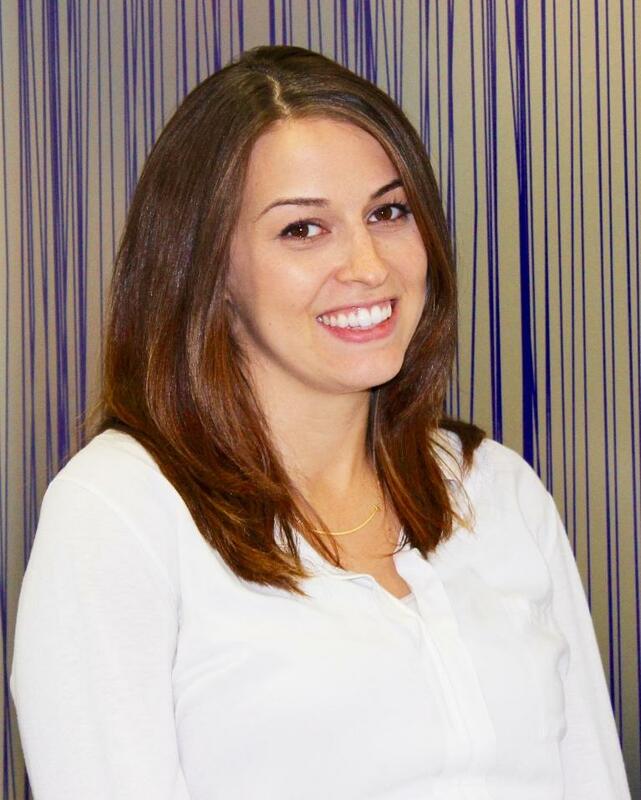 Bridget is originally from Mansfield, Texas and attended TCC, where she received her license in Dental Hygiene. Bridget has always enjoyed jobs working with children and knew when she graduated she wanted to pursue a career in a pediatric office. Bridget is passionate about educating children about oral health and helping them learn how to keep their smiles throughout their whole life. Outside of work, Bridget likes to spend time with her husband, one year old daughter, family, friends and church community. She loves summer time where she enjoys going to the lake and running outside. And recently, she has also discovered a passion for photography! 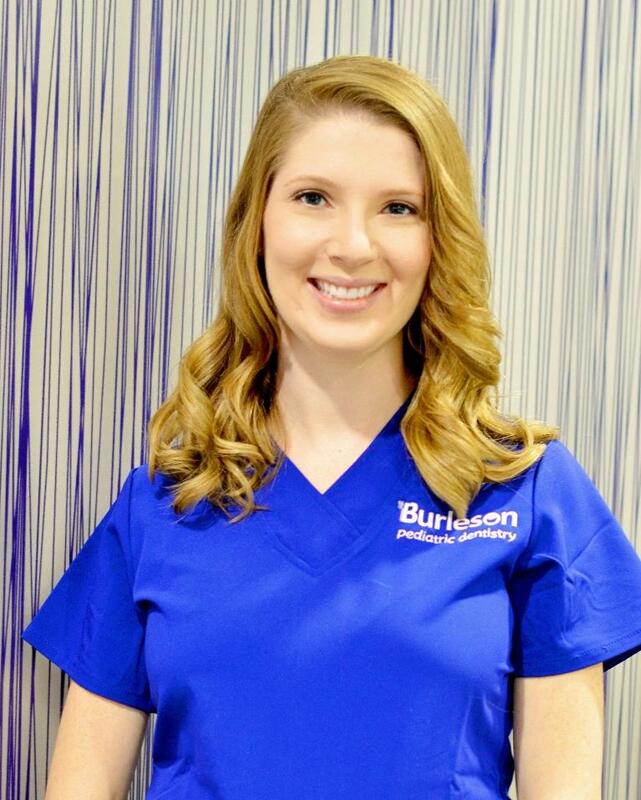 Erika is originally from Fort Worth, Texas and has been with Burleson Pediatric Dentistry for four years. 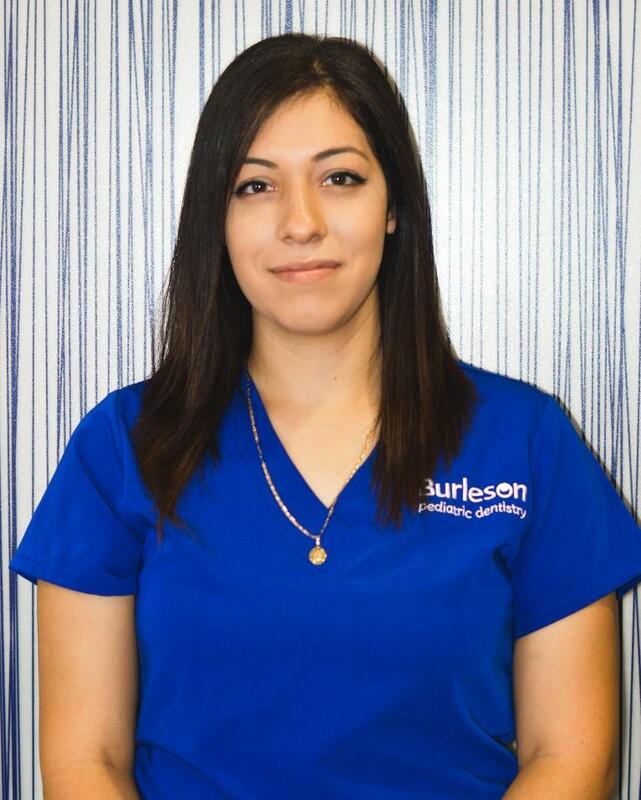 Her favorite part of being a dental assistant is working with all her team members and all the amazing kids. She loves being the operative assistant because she can help kids get through treatment comfortably. When she is not in the office taking care of our patients, you can find her listening to Justin Timberlake, spending time with her beautiful daughter, Valerie along with friends and family. Erin is originally from Fort Worth, Texas and attended the Texas Academy of Dental Assisting where she earned her degree in dental assisting. She has been with the practice for almost four years and loves working with children and how rewarding it can be. Erin has a passion for special-needs children and enjoys making them leave with a smile on their face. For fun, Erin enjoys spending time with her family, husband, and one-year old daughter. Her friends and family mean everything to her! She also looks forward to attending church on Sundays, go shopping, watch movies and has had an unconditional love for horses since she was a little girl. 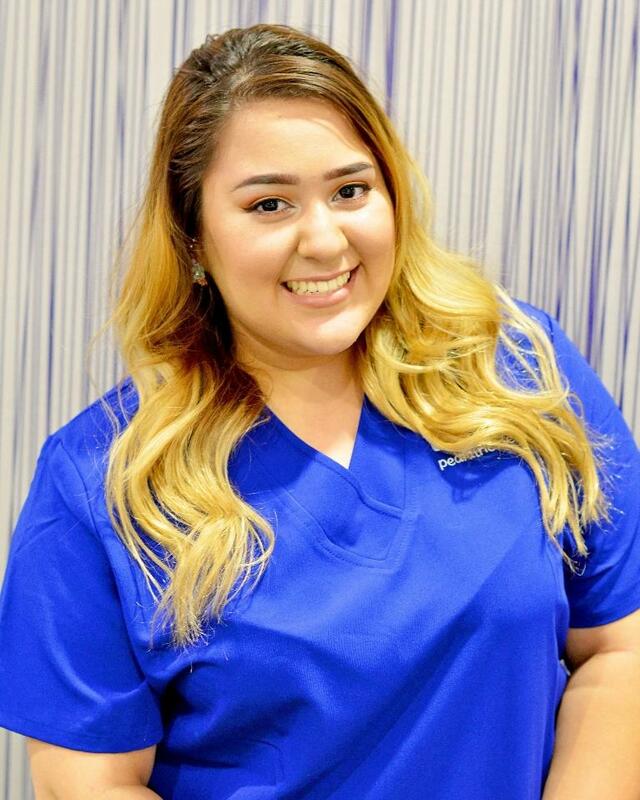 Chelcie was born and raised in Burleson, Texas before attending TCC and receiving her dental assisting license. 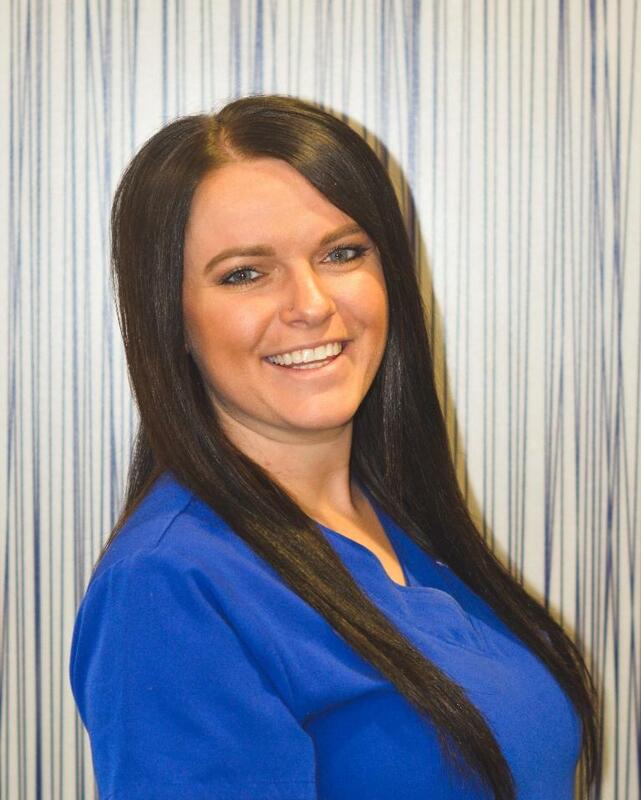 She has worked in pediatric dentistry for approximately 3 years as both a registered dental assistant and in the front office. Because she has always had a strong passion for working with children, she finds great joy in having the opportunity to make a tremendous impact in creating fun and positive experiences. Her greatest satisfaction is seeing each child leave with a smile and look forward to coming back again. In her free time, she loves spending time with her four-year old daughter, family, and boyfriend. During the summer, you may find her at the pool enjoying time with her fun-loving little girl. Jessica is originally from Fort Worth, Texas before settling in Burleson, Texas growing up. 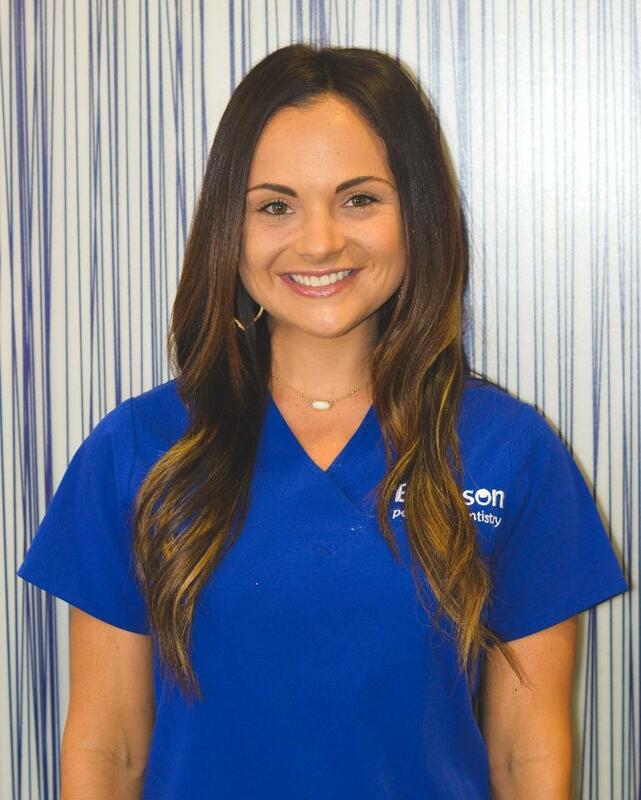 After graduating from Burleson High School, she pursued a career in dental assisting because she likes being able to multi-task and work in an environment where her team player mentality can shine through. She particularly loves working with children and helping alleviate any fears they may otherwise have. Day to day, she finds satisfaction knowing she does excellent work and that she is always there to lend a helping hand. When she is not working, she likes to spend time with her family and friends. You may catch her outside too as she likes to go out for walks or runs. How about that!